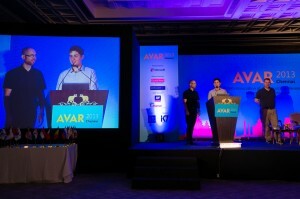 For those of you who have seen this name for the first time, AVAR stands for Association of Anti-Virus Asia Researchers (http://www.aavar.org/avar2013/). This year, the 16th AVAR conference was held in a beautiful city of Chennai in Tamil Nadu, a state in the southern part of India. This year was particularly successful for Avast. Four researches presented their work in two 40-minutes sessions. At first, Lukas Hasik (@lukashasik) and Petr Chytil (@chytil) from AVAST's QA department presented their talk titled "Fast Data Delivery From Clouds - A Strong Weapon In The Anti-Virus Arms Race." 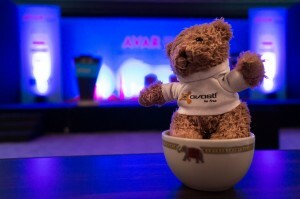 Their talk was a case study which showed to the conference attendees, how cooperation between three of AVAST's departments - QA, cloud, Virus Lab - helped AVAST to accomplish implementation of the feature, which is nowadays a strong weapon against malware. Thanks to you, our community, Avast can deliver to our users new virus definitions shortly after they are generated. Lukas and Petr talked about interesting information from all three departments and lessons learned from the implementation process. This talk showed us how communication and cooperation among different people and different departments is important. To find out more about this presentation, see the following link (http://prezi.com/aplz_phvlek_/fast-data-delivery-from-clouds-a-strong-weapon-in-the-anti-virus-arms-race/). 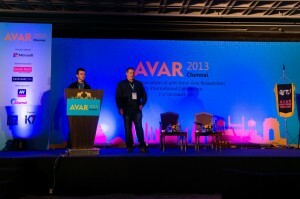 In AVAST's second talk, Jaromir Horejsi (@JaromirHorejsi) and Jan Sirmer, malware researchers from AVAST's Virus Lab, had a talk called "Korean Banks Under Pressure", summarizing and extending the blogpost from March this year. The Asian region shows not only a steady economic growth, but it becomes more and more important for many companies from various branches and specializations. As for AVAST, the observed growth in cybercriminal activities is particularly important. Jaromir and Jan talked about a malicious attack, which influenced thousands of South Korean online banking users in the first half of this year. They presented the entire infection chain from the initial hacked and infected website to the last step, where the victim gets harmed. Both presentations were a great success and generated a lot of positive feedback. Security conferences are not only about presenting papers, they are about sharing the ideas, making new friendships, and exploring new cultures. People from all over the world meet together for a couple of days and have a great time together. Below we attach a few photos.